I'll be doing another beauty post again today. I'm very sure the brand name ZA is not a stranger to many of you. After the ZA product launch that I've attended last month, we were given some of their new products to try on. Click here to read on the launch. Today I'd like to review on their liquid foundation and gel eyeliner. 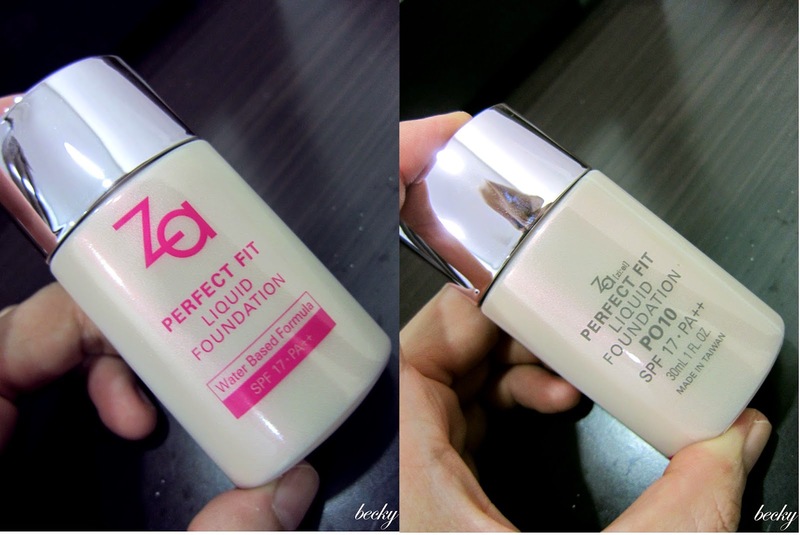 The liquid foundation is water based, and it allows you to achieve natural, beautiful skin which is shine-free and gives a transparent finishing with long lasting effect up till 8 hours. 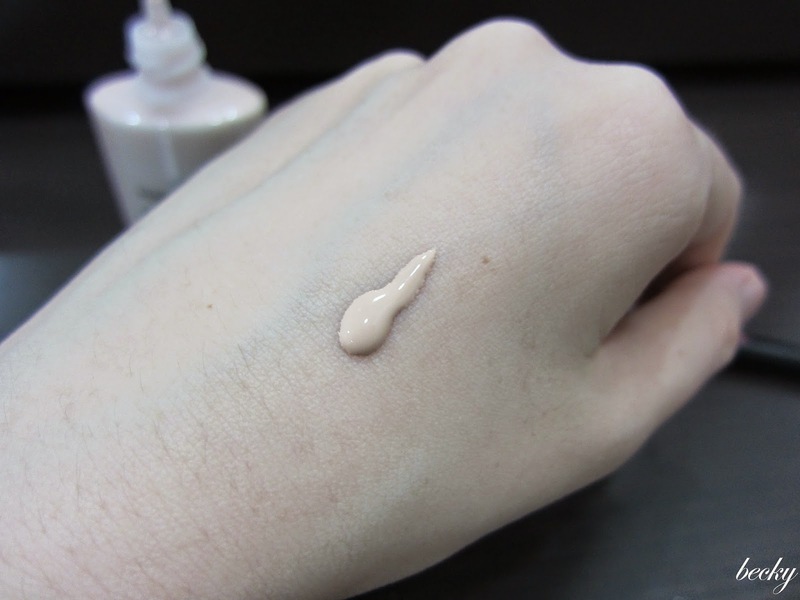 The foundation also consists of micro-pink pearls, which gives the skin a pink, healthy glow. Also, it comes with SPF 17 PA++ too. After all, it's really important that we apply enough sunblock to protect our skin from the harmful UV. I've tried on the foundation, and really like it a lot. It is easy to spread across the face and blends in very well. My skin looked more radiant after applying the foundation, and it felt really light. Though the texture is light, but I would say that the coverage is quite good as it was able to lighten and cover up my acne scars. Don't worry if you have yellow skin-tone, as the foundation has been developed to suit both pinkish and yellowish skin tones. 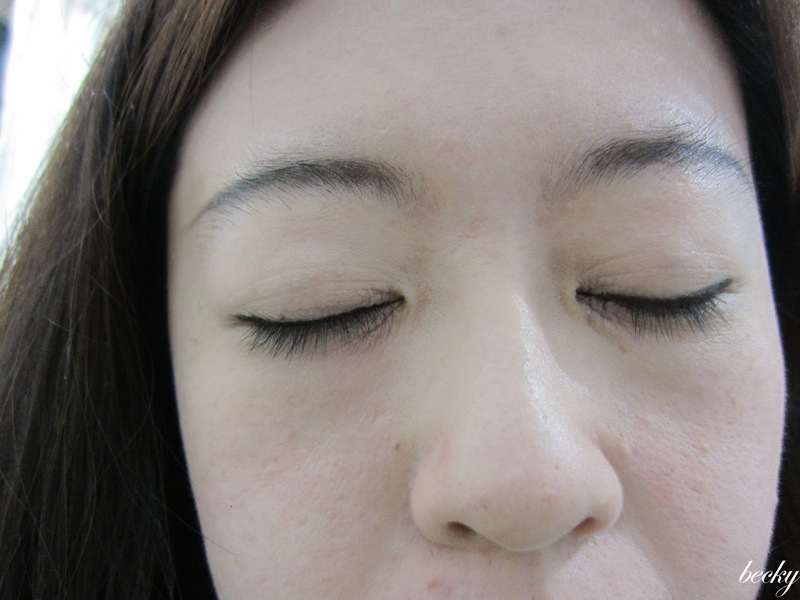 The foundation comes in 6 colour tone variations and is adjusted towards the skin colour in Asian women. I'm hardly a fan of gel eyeliner. 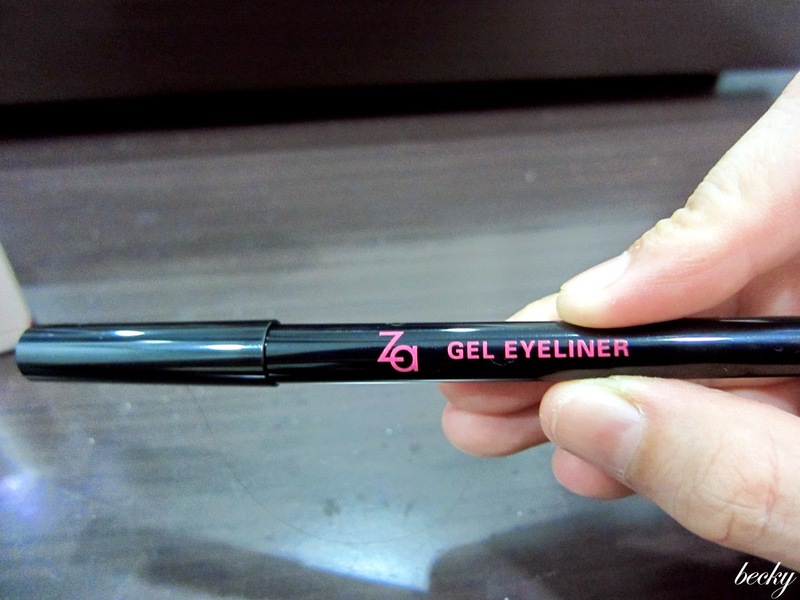 However, I really like this gel eyeliner from ZA, apart from the ones I've tried previously from Miss Hana (read here and here). The gel-based pencil eyeliner is waterproof AND smudge-proof. 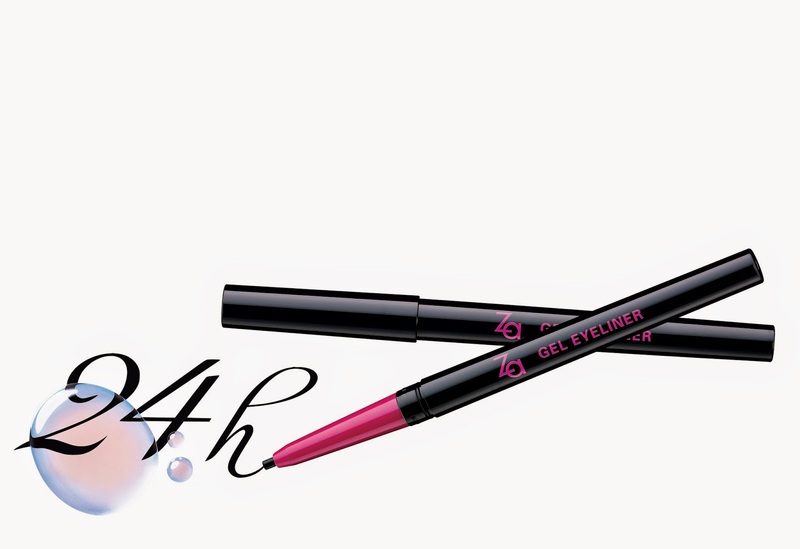 It is highly pigmented and long lasting too. I was given BK999 Real Black to try on. It was really easy to glide on, and the colour was very pigmented and rich. I particularly like that it comes in a twist-up pencil package, which is more convenient as I save the trouble of sharpening the pencil. The other thing that I like about the eyeliner is the precision. I was a little worry that the line would be too think when I saw the head of the eyeliner, as you can see that the head is rather flat. However, it turned out just fine. I was able to create a natural and thin line with this. I tried the eyeliner under running water - it's really waterproof! I really like both of these products - the foundation was long lasting enough and the eyeliner did not smudge at the end of the day. With the price, I'd say they are really worth trying.